T his haul is smaller - and less exciting - than my usual hauls. I am working on shrinking my need-list instead of going overboard in-store, and that I picked up just the four makeup products from Sephora is proof. I have since discovered that I am 15 points away from my next premium gift. A lip balm would have seen me through to the next tier. Argh! 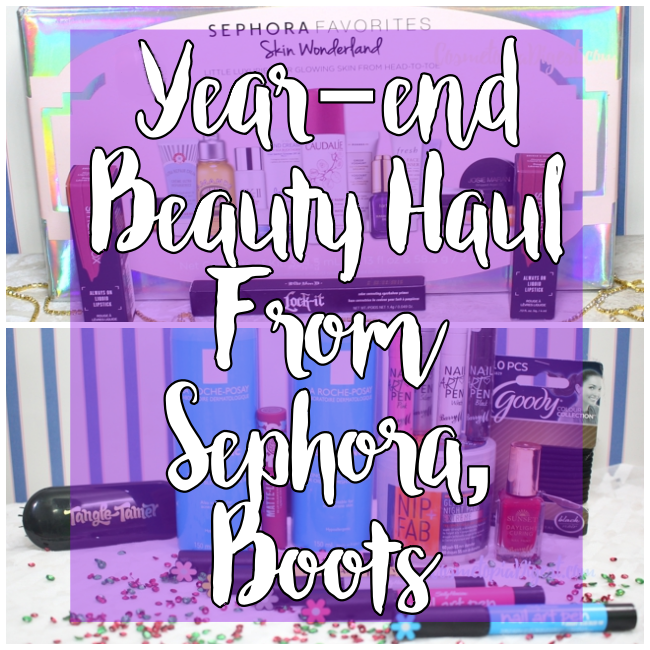 Scroll down to find out what I bought in my last beauty haul of 2016. Kat von D Metal Matte Eye Palette: Sponsored by Mum in return for my picking up the things on her list. I've been wearing it pretty much every day. Review next week. 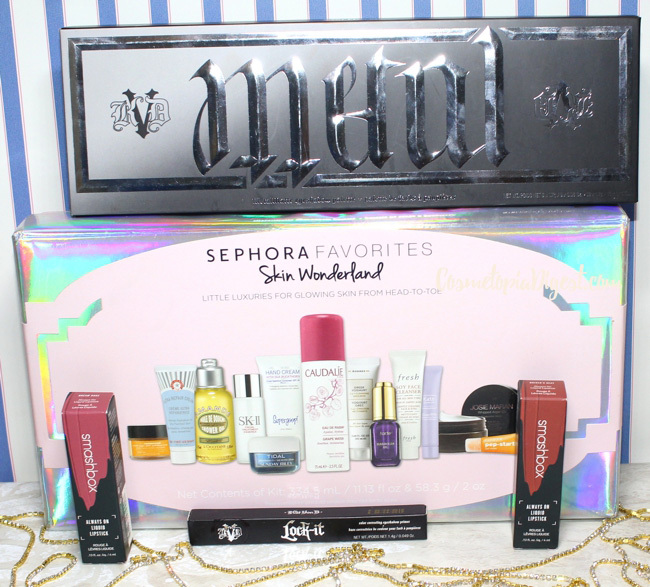 Sephora Skin Wonderland Set: Celebrating the anniversary of my skincare addiction with this lovely set. Smashbox Always On Liquid Lipsticks: I already have Stepping Out. I picked up Dream Huge and Big Spender this time. Swatches soon. Kat von D Lock-It Eyeshadow Primer: They discontinued my beloved High-Voltage Eye Primer. Sadly, this seems to be a crayon primer, something I discovered AFTER coming home and ripping open the packaging. Sephoras outside of the US don't take returns, so I'll have to give this a try anyway. 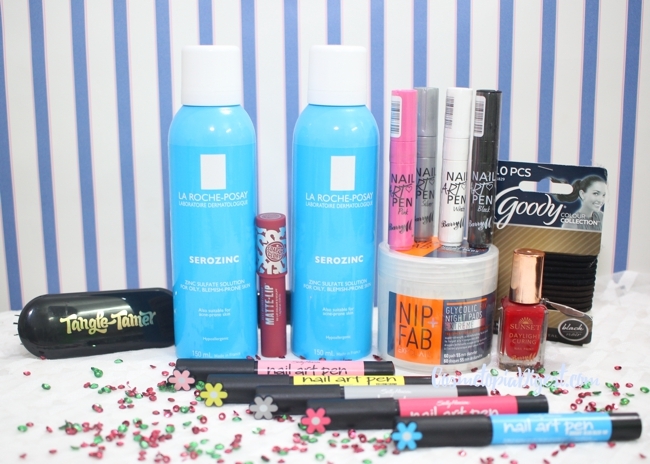 La Roche Posay Serozinc x 2: I've only tried a sample. Glad to get two of this balancing zinc spray. Soap & Glory Matte Lip: I picked the shade Chocoberry, which is beautiful for this time of the year. Barry M Daylight Curing Nail Paint + four Nail Art Pens: I always pick up tonnes of Barry M from Boots and this year is no exception. Sally Hansen Nail Art Pens x 5: I'm trying to up my nail art game in 2017. Nip+Fab Glycolic Night Pads: I've tried a sample of these and loved it. If all goes well, I'll buy one more jar. Goody Hair Ties: I'm always, always running out of hair ties. Denman Tangle Tamer (Black): I have the pink one, reviewed here, and had to buy the black one! Hauled anything recently? Tell me in the Disqus comments widget below.